36 / 42 cm Custom sizes available. Simple, delicate, sophisticated! Variable in size and execution coffee and side table FILIO offers multiple possible applications. Four shapely table feet in brushed or hand-polished stainless steel bestow an impressive airiness upon the table. The tabletop‘s sloping edges following the table feet‘s form are a special detail of FILIO. 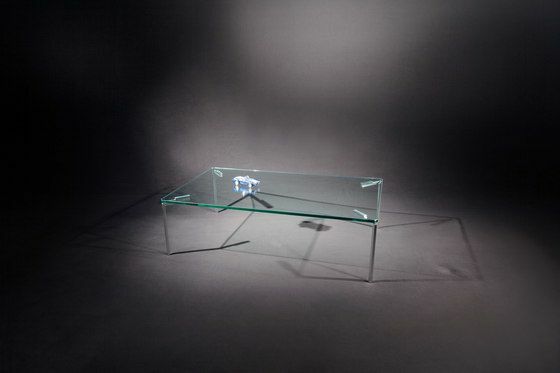 Table top 15 mm strong floatglass or optiwhite glass. DESIGN IS THE ART OF THE 21th CENTURY. For over 30 years our family enterprise is well known for modern furniture design „made in Germany“.